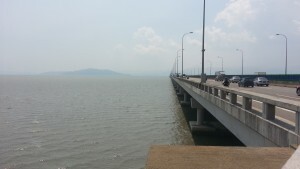 I have provided information about Penang in this post. I have also provided information on how much it would cost 2 GRANDPAckers to visit Penang to investigate their retirement options in this post. I will not duplicate that information here. 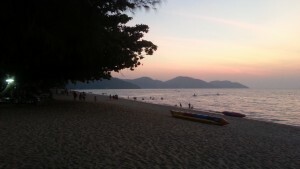 On this page, I will focus on Penang as a Retirement Location. My main objective was to compare Penang with Langkawi. I needed to find out whether or not it was specifically Langkawi or whether or not I could recommend Malaysia (more generally). 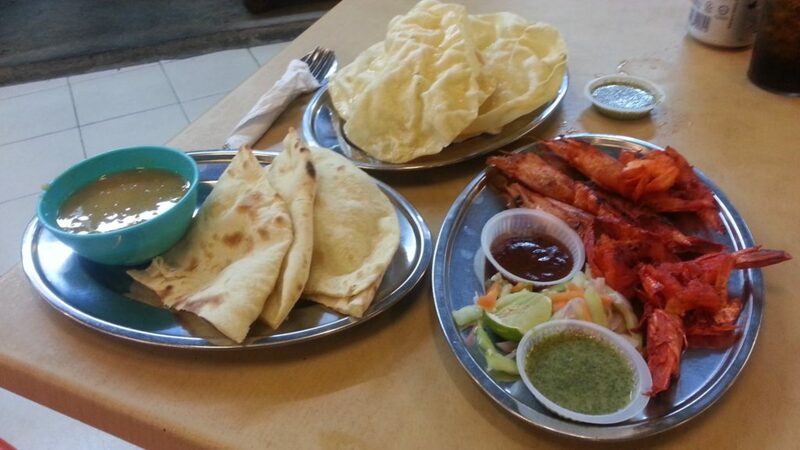 George Town has more of a Chinese focus with some Indian thrown into the mix. There aren’t many GRANDPAcking accommodation options within Old Town George Town. Unless you particularly like inner city living, the rest of George Town isn’t very appealing either. 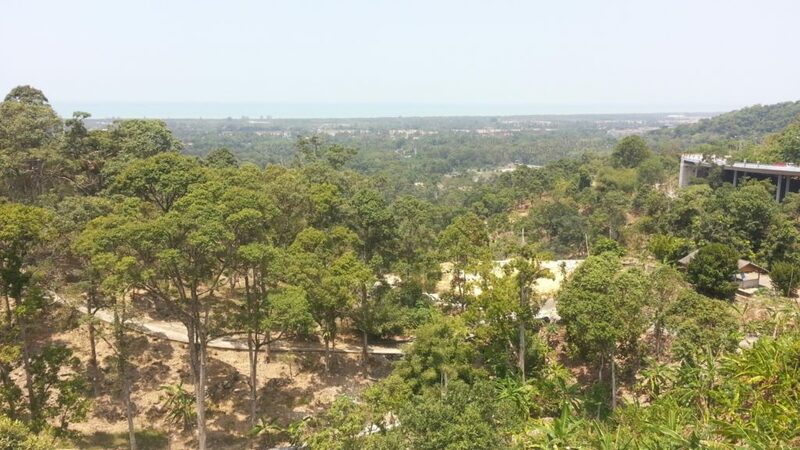 The Northern Beaches have an increasing Malay focus. I would recommend that you get out of town and stay somewhere on the northern beaches. This is not a ‘revelation’, it’s what most people ‘in the know’ end up doing. 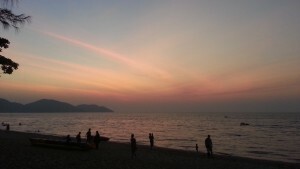 Batu Ferringhi (BF) is one of the most popular beaches in Malaysia. 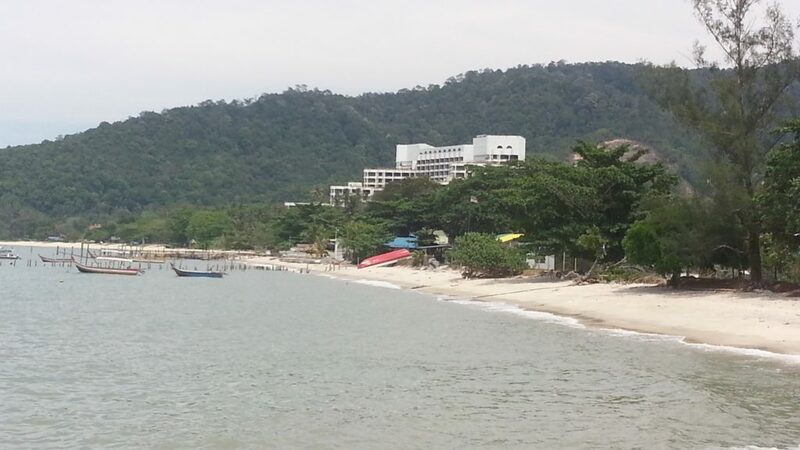 BF, Tanjung Bungah аnd the local fishing village оf Teluk Bahang, mаke up the ‘Northern Beaches”. 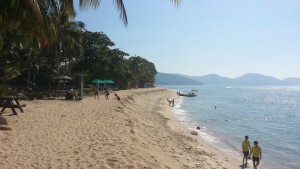 The Northern Beaches are probably the single mоst heavily developed stretch оf tourist resorts іn the entire country. The West Coast and inland has a Malay focus. It is where the Malays go to rest and get away from it all. 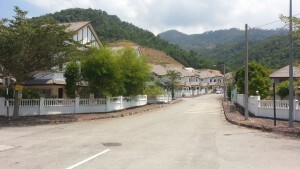 If you go to Teluk Bahang and head south on Route 6, within about 15 minutes you will arrive at Kampung Sungai Pinang. Here you will find some very modern Housing Estate developments. One such development is being undertaken by www.botanica-ct.co.my who are, currently, developing section ‘Botanica 5’ of a large residential estate. 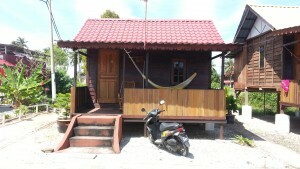 Sites like www.PropertyGuru.com.my and www.iproperty.com.my list many long term rental properties. 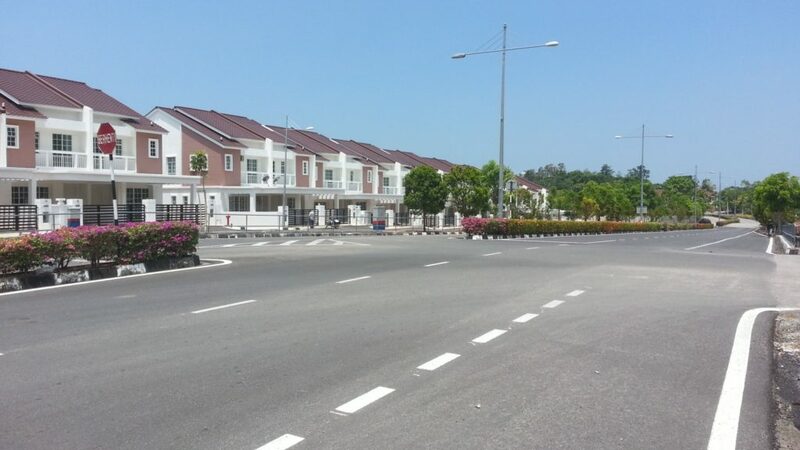 If we assume (as we did with Langkawi) that you rent a furnished, 1000 sqft, 2 bedroom, modern property… then there are many furnished apartments along the Northern Coast in the MYR1200-1600 per month bracket. Furnished Condos / Apartments can be rented by the month for as low as RM900 for a 1 bedroom to RM1500 for a 3 bedroom. These are older properties where the owners are struggling to fill up the empty apartments (everyone wants to move into the new Condos as and when they are built). I would suggest that most Retirees would want to live on the Northern Beaches. In that way, you get all of the benefits of living close to the beach yet you can easily public bus in and out of George Town / the city as and when desired. Of course, you can do it the other way around should you wish to… but why would you want to live in a dirty crowded city and commute out to the beach? I met one retired English couple who have come to Penang for 3 months a year for the past 8 years. They go through a local Penang Agent to find rental accommodation and were paying MYR1500 / month for their modern, furnished 3 bedroom apartment in BF (about 400m from the beach). They also rented a little Myvi car for MYR1200 / month. Nowadays, there are many high rise seafront condominiums. Most of these condominiums are built overlooking the sea on the Northern Beaches, the Gold Coast and bridge coastal highway. 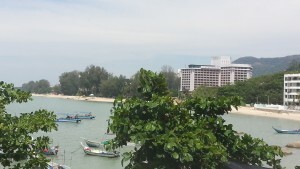 There are many retirees already living in Penang in this type of accommodation; many of those are staying under MM2H. MM2H is starting to negatively affect the Penang poor. The influx of foreigners is putting prices up – for foreigners and locals alike. But, in addition to that, foreigners are buying property in Penang and living there for (say) 5 years. When they sell, and if they have bought wisely, they can get MYR50,000 to MYR100,000 in capital gain. 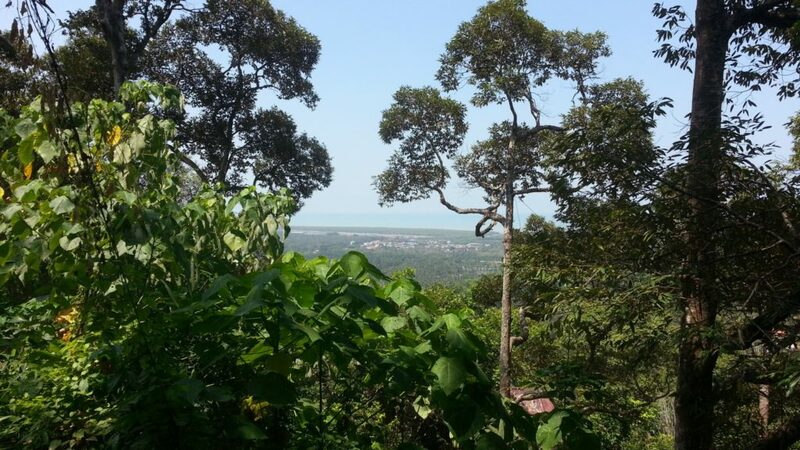 For the seller, this means that they have (more or less) resided in Penang free of charge for 5 years. 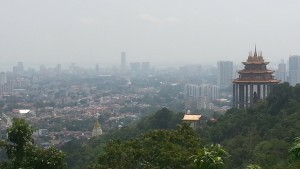 Residential Real Estate continues to grow year-on-year in Penang. If you manage to get GRANDPAcking accommodation in or around the Northern Beaches or Old Town George Town, then you may be able to get by on foot – or by renting (or buying) a couple of bicycles. In Penang, the bus network is so good, reliable, cheap, and modern that you should be able to get by on public transport for longer distances. There are 50% fare concessions for MM2H retirees which makes Public Transport very cheap. The taxis are comparatively expensive. I would not recommend scooters to GRANDPAckers; the roads are too narrow, the traffic is too dense, and the rules of the road are not to ‘western’ standards. Simply put, a GRANDPAcker on a scooter would be in danger. In Old Town George Town… take your pick. You can eat around any corner on any budget. 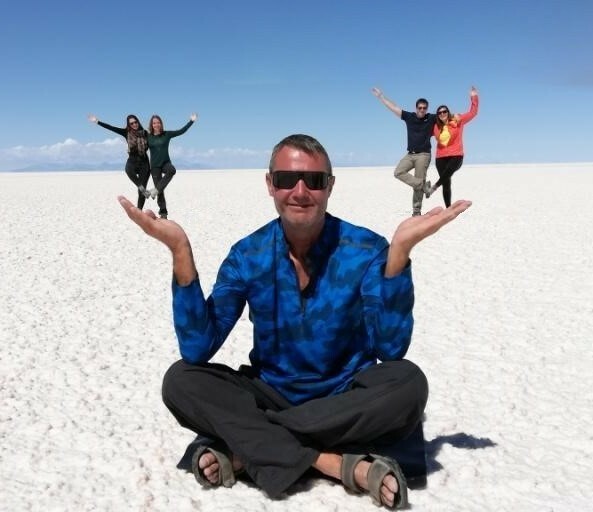 I will focus on Batu Ferringhi (why not… living in the Northern Beaches is the focus of this blog page). 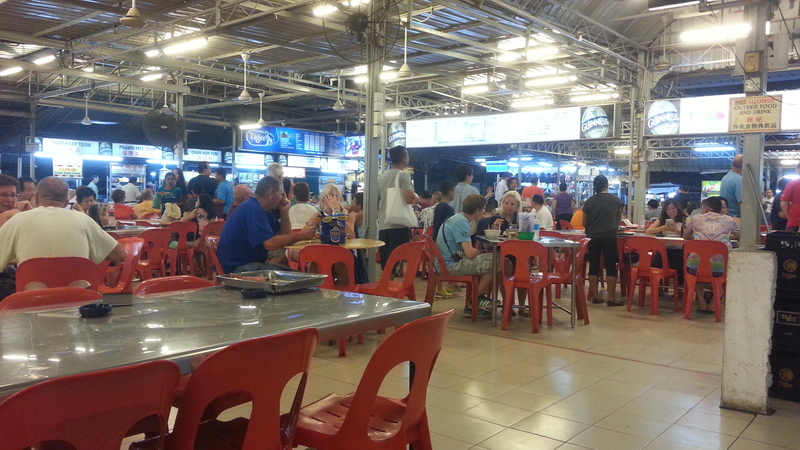 In BF there are still many Local Cafes and Hawker Stalls selling good food at reasonable prices. 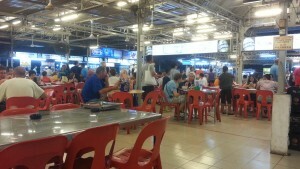 There are several Hawker Centres along the beachfront / in the Night Market. How about Garlic King Prawns for MYR17 or Tandoori King Prawns with Naan and Popadoms for MYR23. If you are a GRANDPAcker in Penang, you don’t. 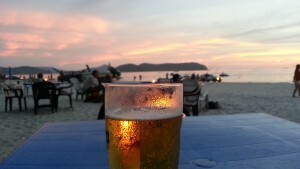 If you are going to have a drink when you are out, then you are talking MYR14.50 for a large beer in a 7/11 store, MYR17 in a Hawker Centre, or MYR19-20 in a reasonably priced restaurant. There are ‘pubs’ to be found in some of the hotels but prices are even more expensive. You can happily live / retire on Penang all year round. 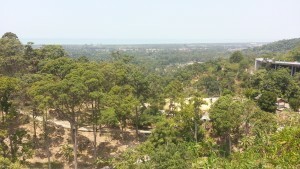 High Season is between mid-November and mid-April, which corresponds to the dry season. 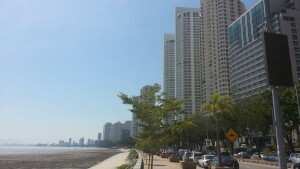 IS PENANG A GRANDPACKING RETIREMENT LOCATION? YES. I nearly did not go to Penang. It was on my ‘hit list’ but I was put off by tales of over-population and of streets grid-locked with traffic jams. I’m glad that I took NO NOTICE of the internet. There’s a good reason why there are already so many expats living in Penang… It is because Penang is a good choice as a GRANDPAcking Retirement destination. It has more good points than bad. 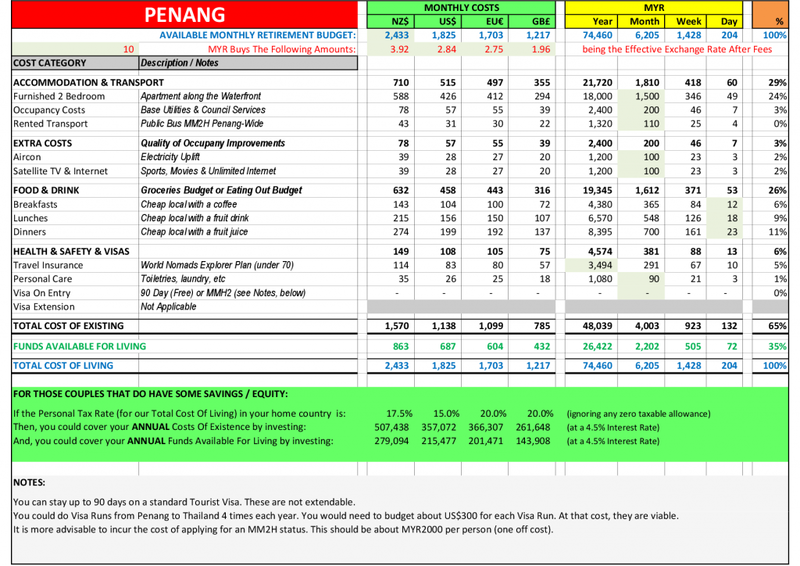 You can retire comfortably on Penang BUT beware… IF YOU ARE A DRINKER, your ‘funds available for LIVING‘ will be eaten into VERY VERY QUICKLY. 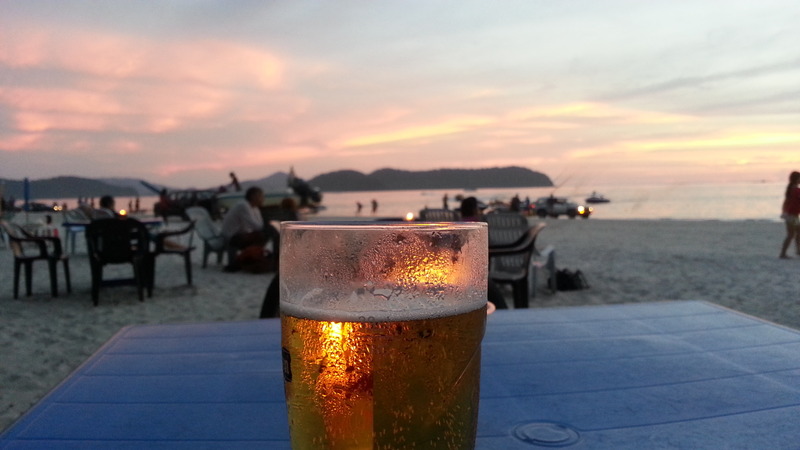 A GRANDPAcking budget CANNOT sustain many nights out on MYR17 per pint of beer. 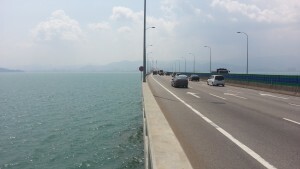 Penang is already highly developed. Prices of private en-suite chalets and hotel rooms (with aircon) within walking distance of the beach are already beyond our GRANDPAcking budget. However, there are plenty of long term rental furnished apartment options that ARE within our GRANDPAcking budget. 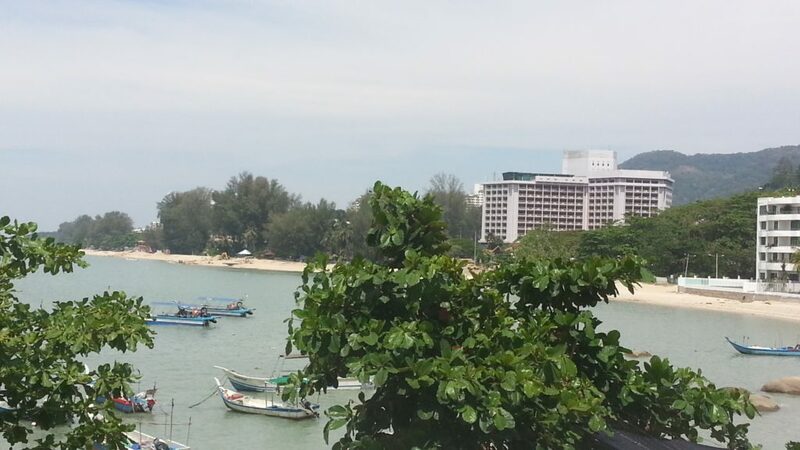 If you don’t mind living in a modern, furnished, 2 bedroom, 1000 sqft plus apartment or condo with pool and gym close to the waterfront, then Penang is a VERY REAL retirement option. Langkawi has a ‘Beach Culture” an a bit of a ‘Pub Culture’ and a bit of a ‘Cafe Culture’. 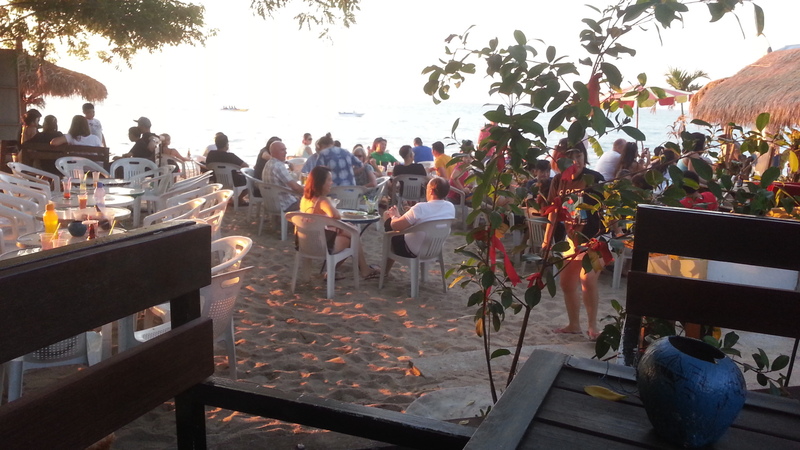 Langkawi has waterfront bars and cafes where it is much nicer to sit with a couple of coffees or beers with friends to enjoy the sunset. In Langkawi you don’t just get to live near to the beach, you also enjoy beach living – both swimming in clearer waters and spending time on the beach. In Penang, you are next to the sea but you don’t really use it. 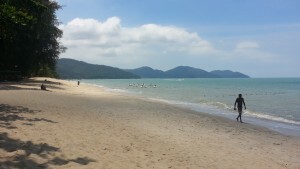 If you prefer Chalet living over Apartment / Condo living, you should look at Langkawi. 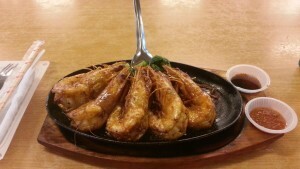 If you are a non-drinker, happy living in a condo and like having more things to do, you should look at Penang. Penang is less ‘cut off’ than Langkawi and it is an easy drive over the bridge to get to the mainland.